FD100Ti Terminal with WiFi capabilities is an easy-to-install and use device that will significantly speed up your transaction processing while assuring that customers’ information is kept secure. The terminal accepts nearly all forms of payment, including personal identification number (PIN) and signature debit cards, credit cards, contactless payments, gift cards and checks, using TeleCheck ECA or paper solutions. 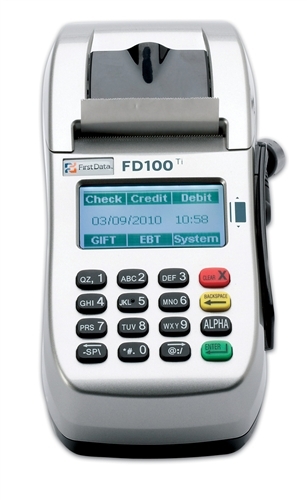 The FD100Ti with WiFi capabilities is easily integrated, supports various communication interfaces and can be adapted to changing circumstances.